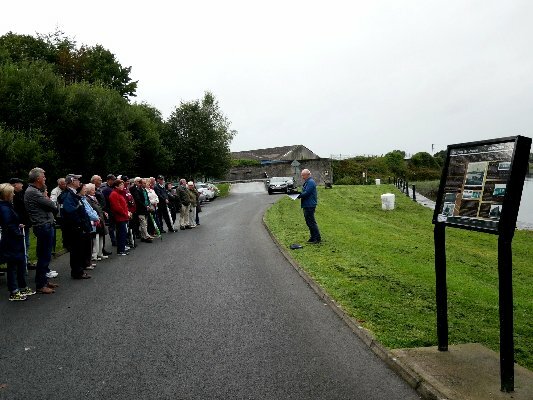 To the Water & the Wild As part of Heritage Week 2017, Clarecastle & Ballyea Heritage & Wildlife Group hosted a very informative series of talks on Thursday 24 August 2017. 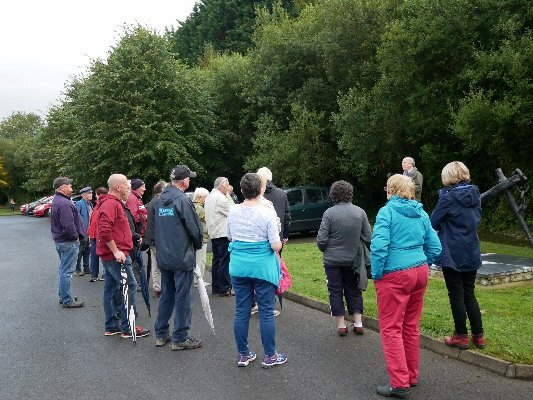 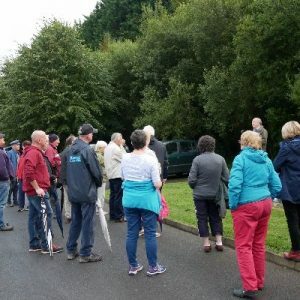 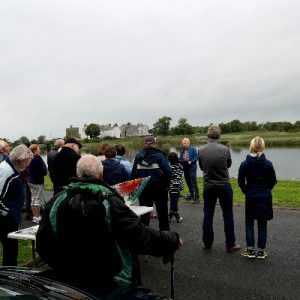 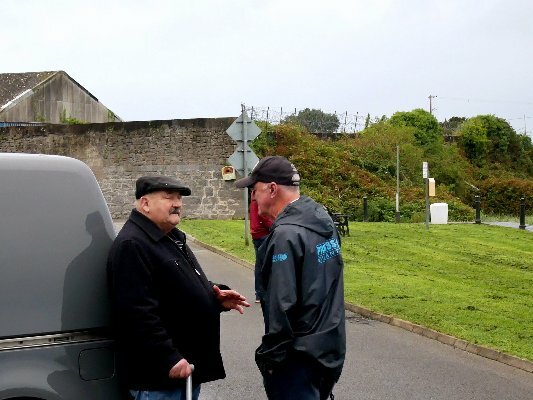 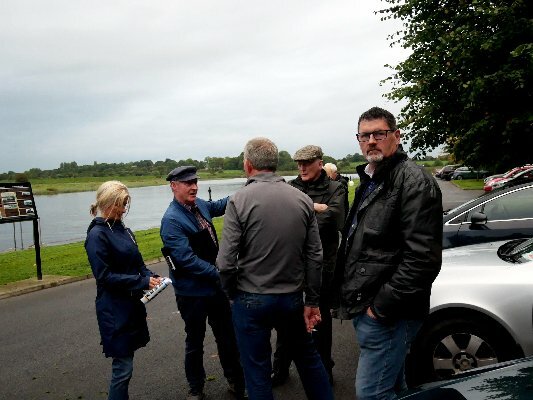 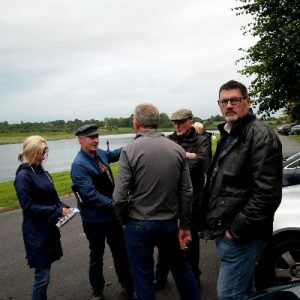 The talks took place on Clarecastle Quay on a balmy evening as a large tide filled the river to the height of the quay-wall, and were listened to by a large and appreciative audience. 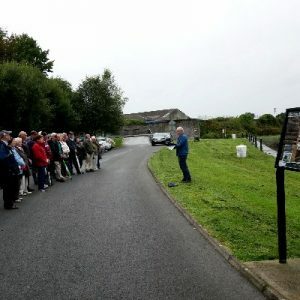 Eric Shaw of the Group introduced the three topics: the story of the S.S. Keeper Memorial, the flora and fauna of the quay area and the history of the Port of Clare. 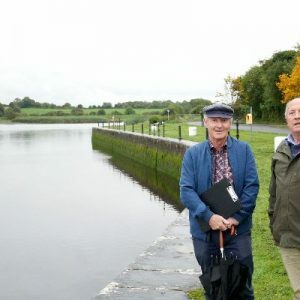 He said that the topics had the river Fergus in common and that the fact that the river was tidal enabled large ships of up to 1,000 tons to bring goods in and out of Clarecastle Quay in years past. 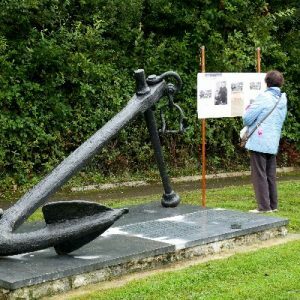 Eric told the story Keeper that had been lost during the Great War in June 1917, with a crew of twelve including four men from Clarecastle. 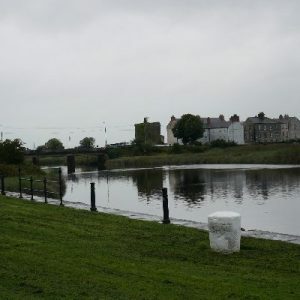 The ship had left Belfast on 9 June 1917 with a cargo of grain for Bannatyne’s Mills in Limerick. 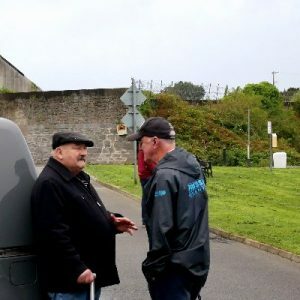 On 10 June, a signal was received from the ship as she passed Arranmore Island off Donegal and that was the last that was ever heard of the ship. 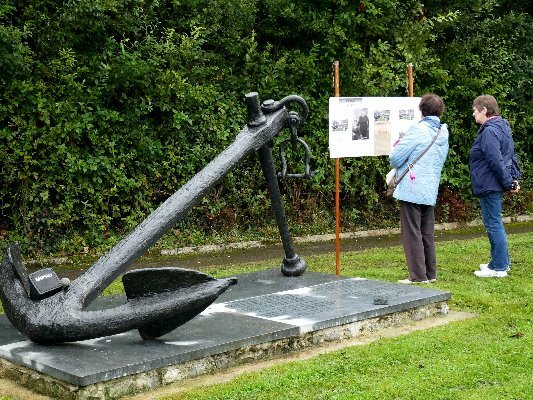 It is assumed that she was sunk by a German U-Boat. 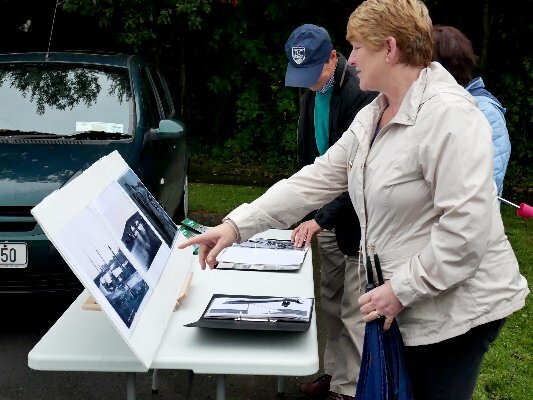 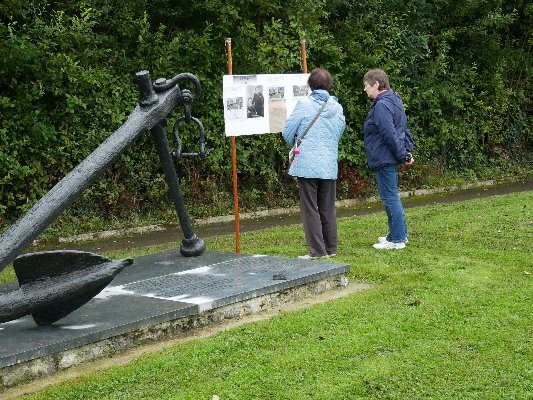 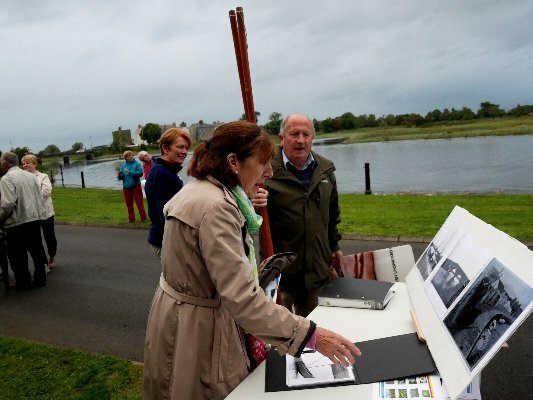 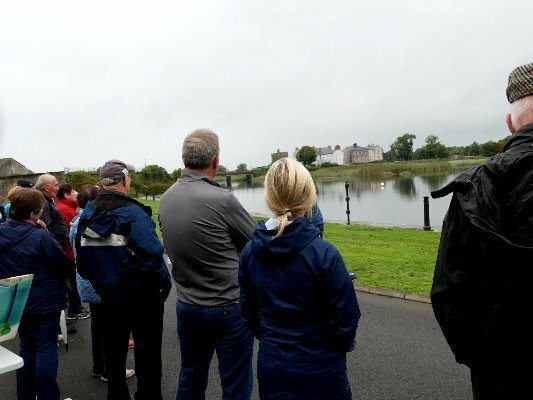 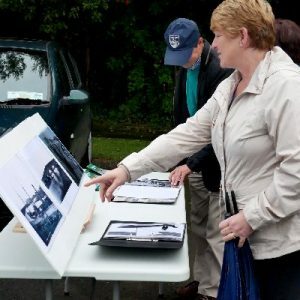 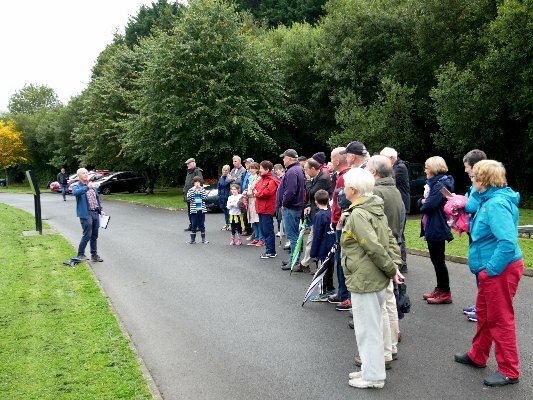 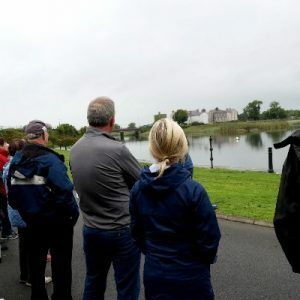 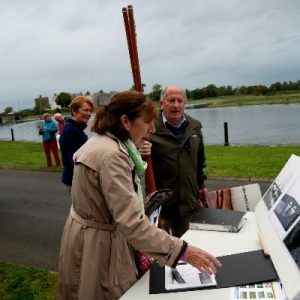 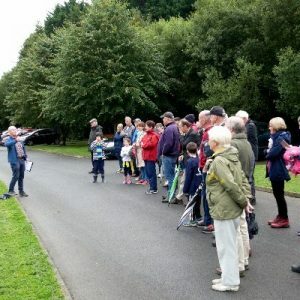 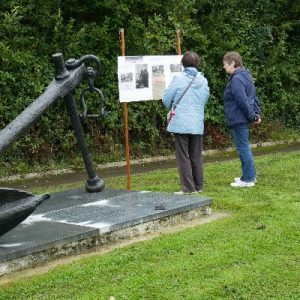 A Memorial to the ship and crew was unveiled by the Group at annual Regatta in Clarecastle in June of this year to mark the 100th anniversary of the event. 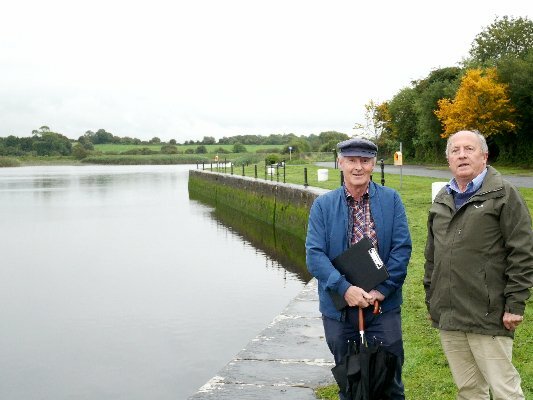 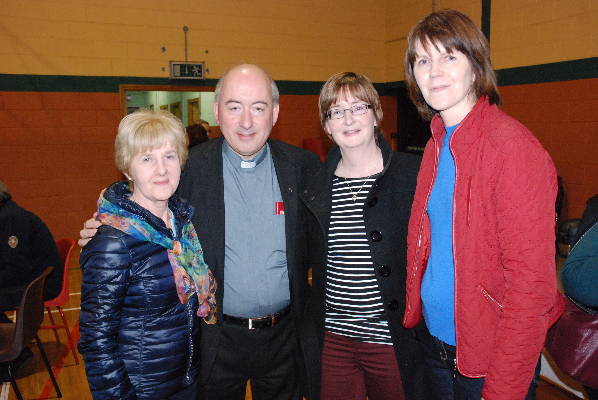 Joe Power spoke on the long history of the Port of Clare from medieval times to the day that the last ship left Clarecastle in 1962. 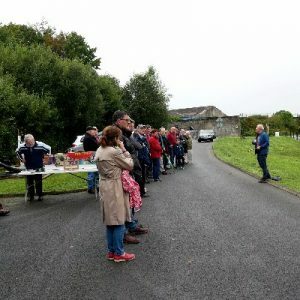 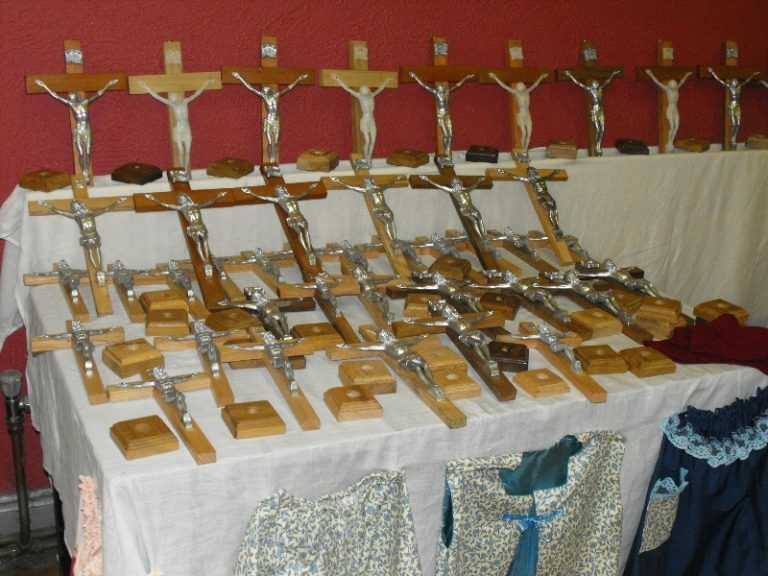 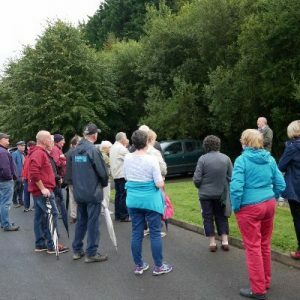 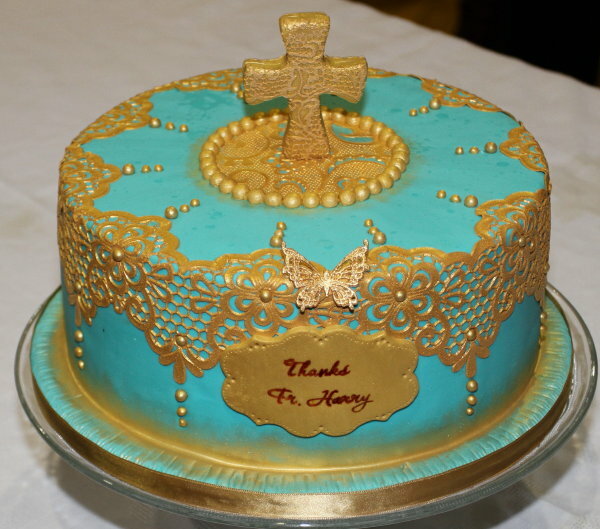 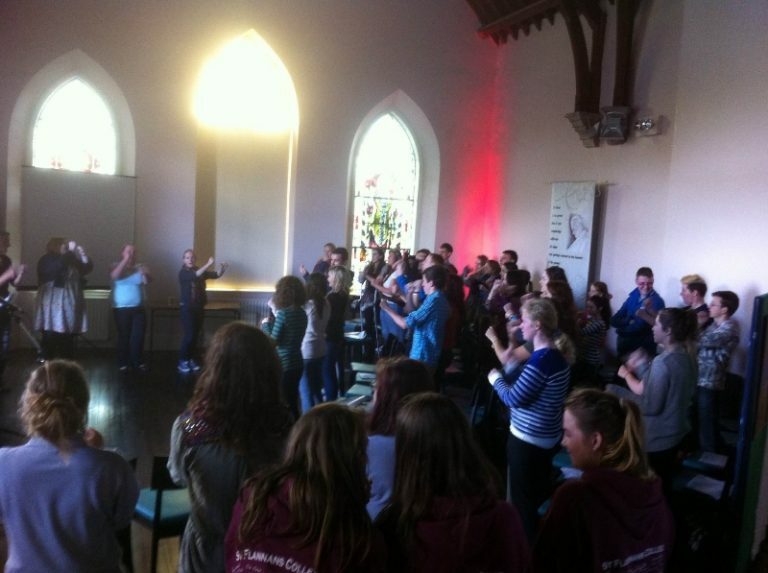 His talk covered the name of the village – Clár Átha an Dá Choradh – which gave its name to the County of Clare, the use of the river as a source of water and food, the draft-net fishing for salmon, the river as a means of transport for goods and people prior to better roads and the coming of the railway in 1859. 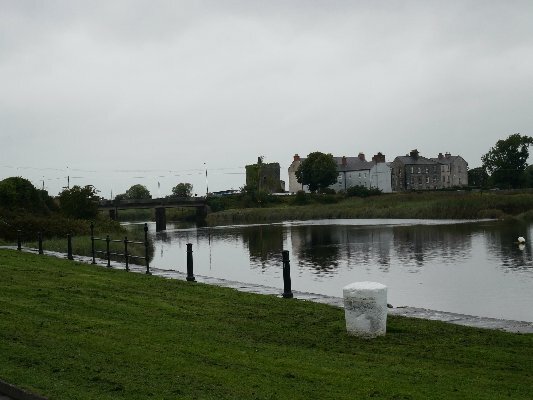 He deplored the destruction of the fine Semple Bridge in 1971. 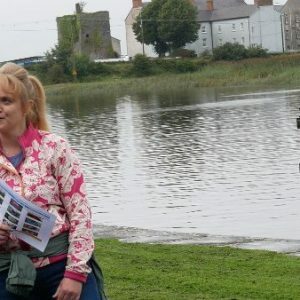 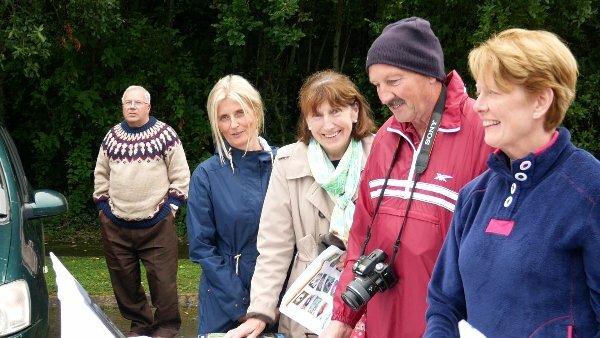 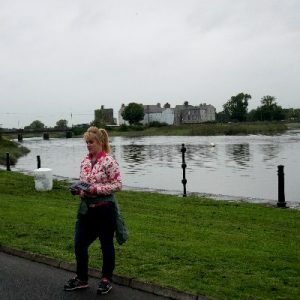 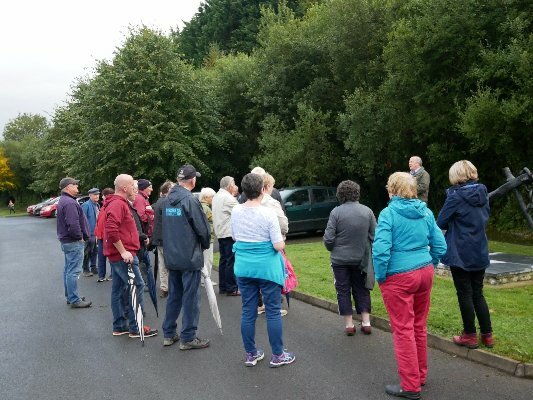 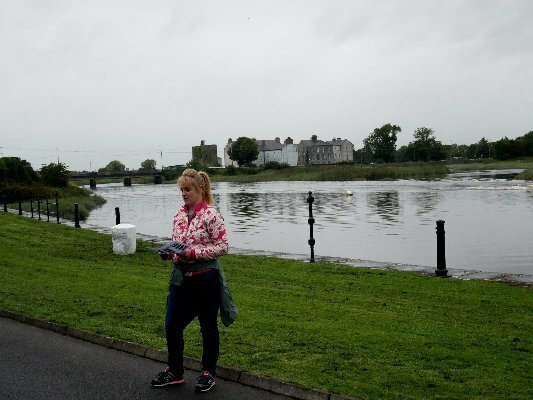 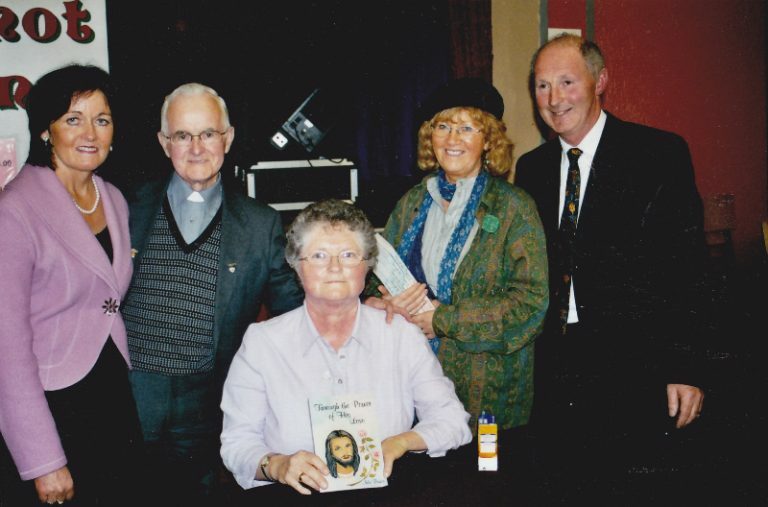 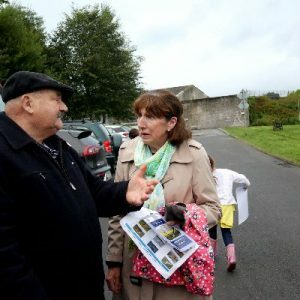 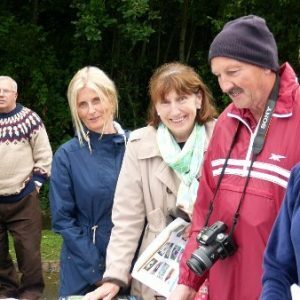 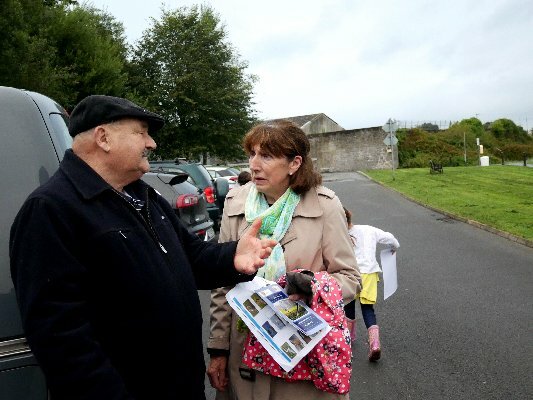 Jean Ryan spoke on the flora and fauna of the Quay area and of the river Fergus and illustrated her talk with some fine coloured handouts of plants, birds and animals that populate the area. 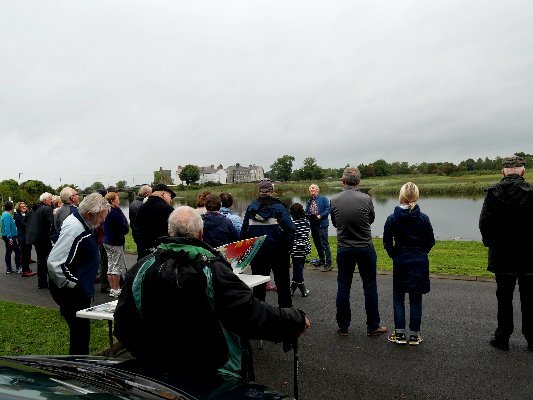 Eric Shaw thanked the speakers for their contributions and was able to announce to those present that the Quay is now one of the stopping-off points on the Shannon Estuary Way, a new initiative by Fáilte Ireland, linking in with the highly successful Wild Atlantic Way. 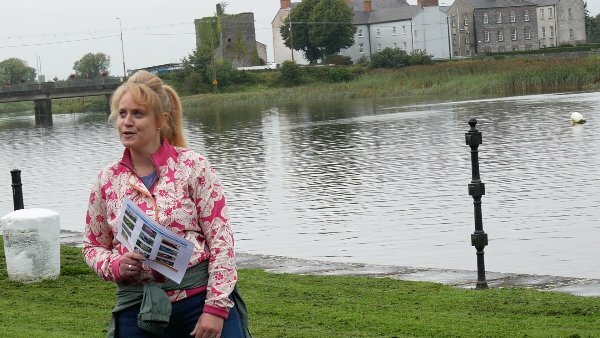 He handed out the new guide and map of the Estuary Way. 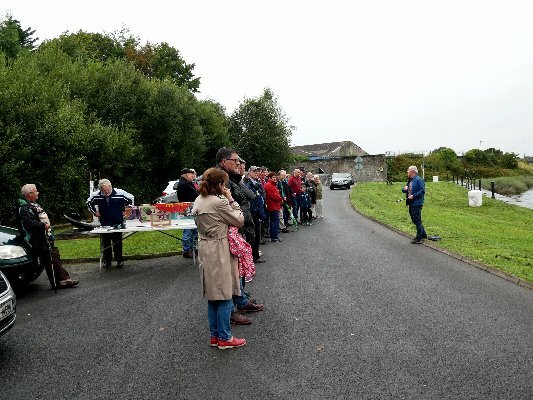 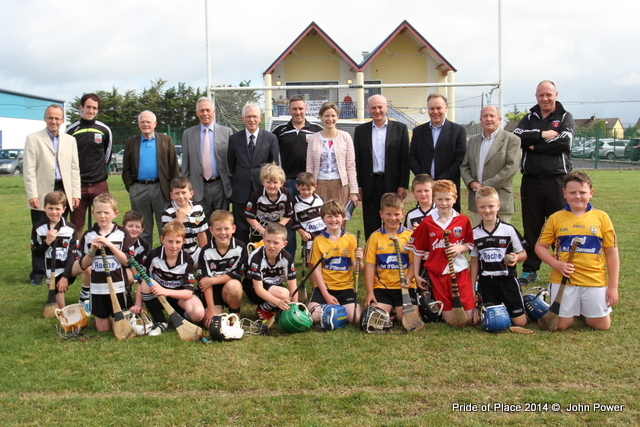 In conclusion, Christy Leyden, Chairman of the Group, thanked the audience for their attendance which included the Mayor of Clare, Paul Murphy.